I've joined the Miata club! 2001 with the sports suspension, bigger brakes, and the torsen differential. 169k for $3600. The driver seat is a little worn. Not ripped yet, bit on its way there. Wheels need refinishing. Will need new brakes soon. Clean car fax, and only very minor issues on the PPI. No rust. I’m super excited. My wife is wonderful to have enabled this purchase. Plan right now is back roads and autocross. What class would work best? I need new brakes, so it could be a good opportunity to ugrade to slotted/drilled rotors, but that takes me out of street class (where did stock class go, and when?). Is street touring the class for me anyway, or try to stay in street? 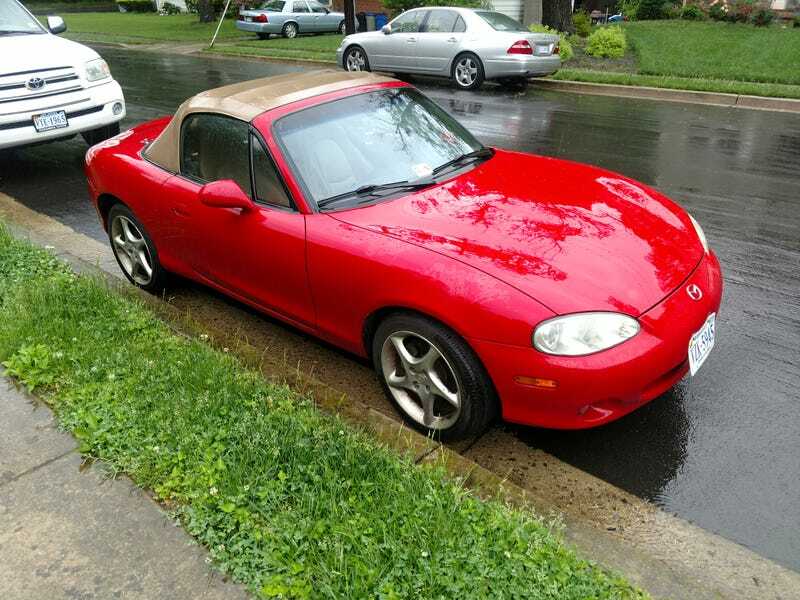 Any and all Miata advise welcome! Who’s refinished wheels before?